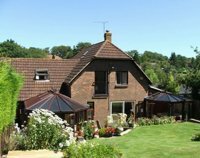 Nick & Graham are your hosts and provide a 'home from home' refuge for gay, bisexual and gay friendly straight men, as well as any lesbians, who wish to stay in their modern, central but secluded detached house - just outside the ancient city and former capital of England, Winchester. 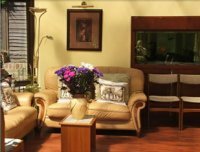 We pride ourselves in a relaxed and friendly atmosphere where we invite you to treat our home as your home for the time you are with us. This is in the Kiwi or New Zealand Homestay tradition, rather than the more formal English B & B. We cater for guests from Overseas who are visiting the UK, as well as for those from within the UK, and can offer helpful advice on tours and trips to places of local interest. Crowded House is ideal for those who wish to escape for a weekend break and also for those traveling for business in the week, who just want to see a friendly face in the evening. We offer the utmost discretion for those requiring it. "Gay owned / Gay friendly"